Denmark puts a lid on attempts by the Faroese to implement authoritarian measures. 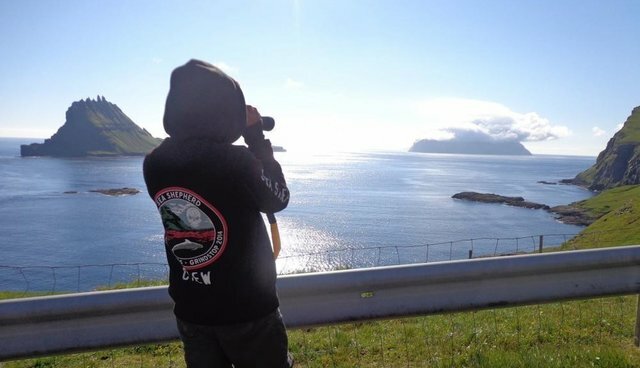 In an attempt to undermine freedom in their own country, 29 of the 33 members of the Faroese Løgting (Parliament) voted in December to ban Sea Shepherd volunteers from coming to the Faroe Islands. After Sea Shepherd's successful campaign to protect pilot whales and dolphins this past summer - Operation GrindStop 2014 - Faroese politicians decided to take the drastic move to stop further Sea Shepherd intervention by simply banning Sea Shepherd volunteers from the Faroes. This move certainly illustrated that many Faroese politicians have acknowledged the effectiveness of Sea Shepherd's campaigning. The problem for the Faroese however is, how do you ban Sea Shepherd volunteers who happen to be members of the European Union? Banning members of the EU could cause a retaliation of banning Faroese citizens from Europe. A law banning Sea Shepherd would have required Danish approval, and Denmark was not about to head down the road of censorship and discrimination. The Danish government would have none of it and vetoed the measure, illustrating once more that Denmark does indeed have control over affairs in the Faroe Islands. The Faroese claim that killing whales is a tradition and part of their culture. On the other hand, the Danish view freedom, democracy and human rights as part of their culture. It appears that in this case Denmark's commitment to human rights and freedoms takes precedence over any obligation they may have to defend the barbaric practices of a vassal nation. Killing cetaceans is a violation of European Union law. Denmark is a member of the EU and provides subsidies to the Faroe Islands. The Faroese claim they are independent, and for that reason, they insist that the law does not apply to them despite the fact that Danish police intervene to protect the whale killing in the Faroes. Last year, more than 400 Sea Shepherd volunteers traveled to the Faroe Islands to oppose the obscenity that the Faroese call the "Grindadrap," which translates to "the murder of whales." 33 whales were killed during the three-month period that Sea Shepherd volunteers patrolled the islands. The year before, in the same time period, more than 1,300 pilot whales and dolphins were massacred on Faroese beaches. Sea Shepherd will never stop opposing the Grind no matter what obstacles are placed in our way. This global movement to protect and defend cetaceans grows stronger every year. The murder of whales and dolphins has no place in the 21st century. It appears that the attempt to legally ban Sea Shepherd from the Faroe Islands has failed. Thus, if Sea Shepherd is able to return to the Faroe Islands in 2015, there is no legal impediment preventing our volunteers from doing so in order to protect pilot whales and dolphins.